(Gerry Furth-Sides) For anyone who has dined on a train or followed alongside a train rattling through the Colorado canyons by car in the dead of night as I have, or anyone who loves history for that matter, Anthony Lambert’s dense, detail-packed book, painstakingly researched and passionately written Lost Railway Journeys from Around the World is a must-havebook. 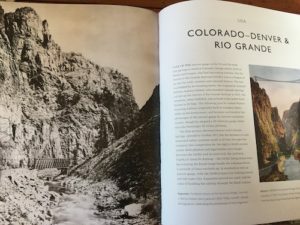 It actually told the story of how those Colorado train tracks that later held glass-domed dining cars, were built to travel through the Rockies. As beautiful a coffee table book as it may be, it is so so much more. The 200 rare and unusual photographs from private collections (many previously unpublished) alone set the book apart. They evoke the romance and drama of these journeys, and this lost world of dining cars, station porters and international rail travel. What better way is there to inspire curiosity about a culture? Lost Railway Journeys from Around the World also becomes a wonderful resource to go behind the scenes of beloved film and book train dining car scenes from the mysteries on the Orient Express and Shanghai Express (Marlene Dietrich made more famous) to the legendary scenes in Hitchcock’s North by Northwestand Paul Thoreaux’s book on China, Riding the Iron Rooster when passengers carried their entire day’s meals on board outside the dining car. 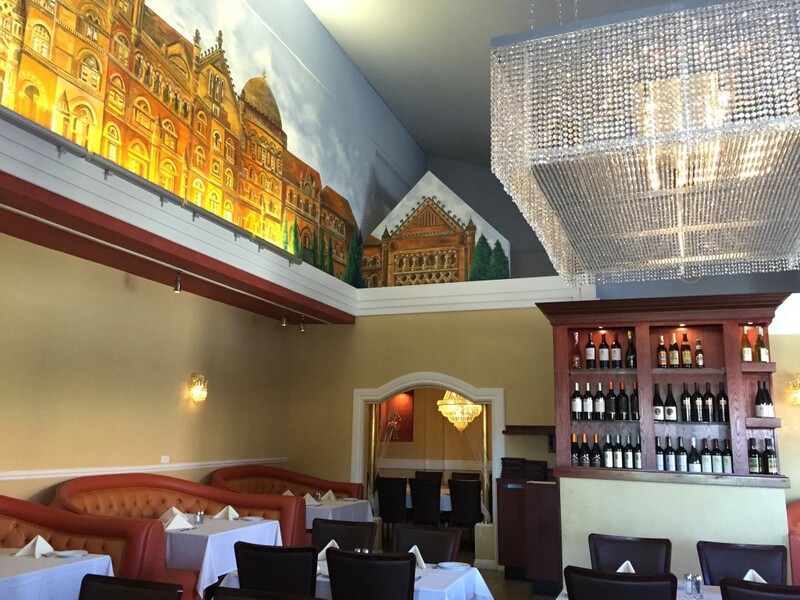 Most recently, the early 1900’s rickety little country train that began and ended the long Gran Hotel series — with our hero plucking two oranges form a vendor’s basket and, of course, a passenger carrying a live rooster on the train. 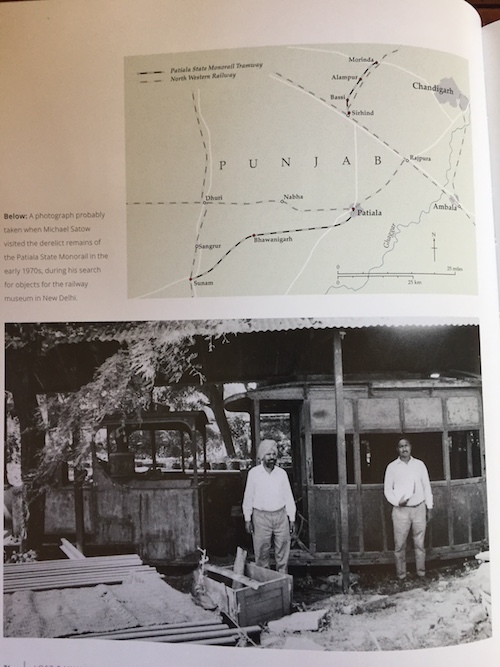 Northern India train journey, part of Gandhi’s legendary route. 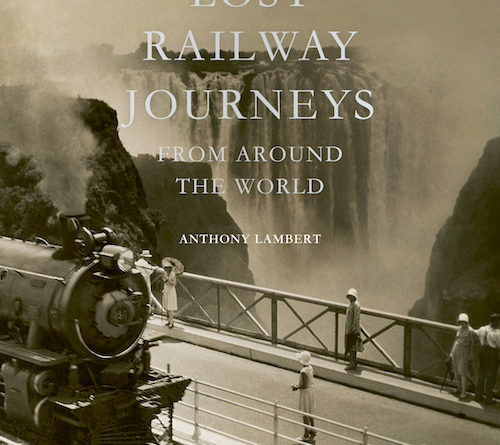 From great cathedral-like railways stations of the steam age to obscure lines built through spectacular landscapes, Lambert celebrates lost railway heritage and lines that can no longer be traveled. 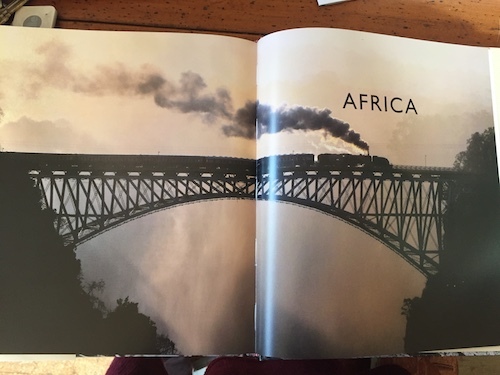 Organized by continent, all of these routes have stories to tell and the lost journeys are captured in the old postcards and posters that accompany photographs drawn from collections and archives across the world. 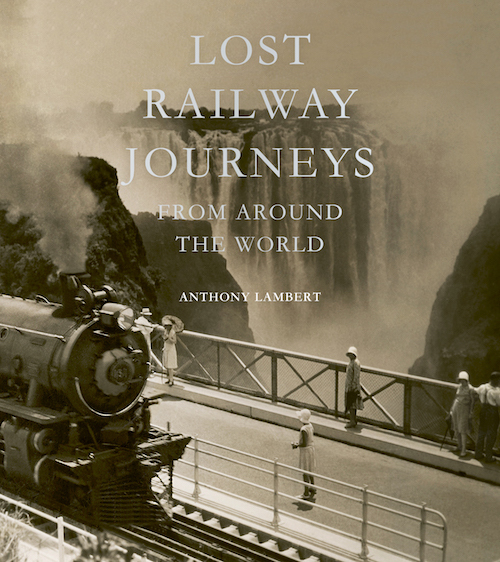 Lost Railway Journeys from Around the World features 32 journeys featured in the book, although all of the lines are now long gone. They disappeared for all sorts of reasons – outcompeted, mechanically incapable or having never run at all- which only adds to the book’s allure. At the same time , the history and dramatic photographs of these routes more than show why trains at one time represented the cutting edge of travel technology. 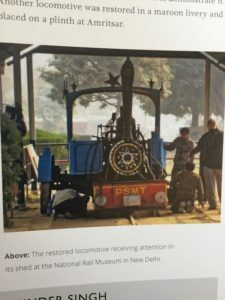 Across the world, Lambert resurrects a bygone world of steam engines, narrow-gauge tracks, and custom monorails that carried cows 10 miles to the seaside. 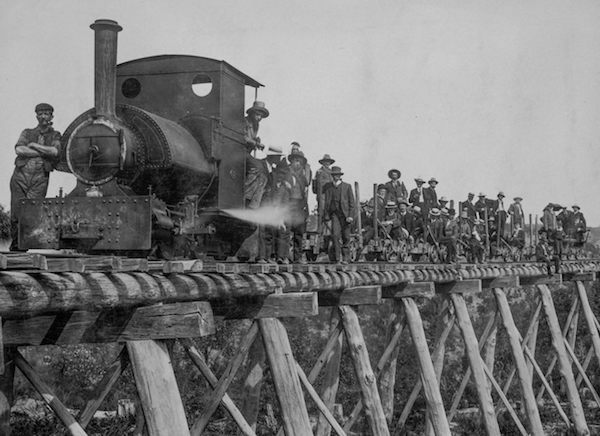 These trains passed through spectacular landscapes and required feats of engineering. There are trains built to transport gold and trains built to transport pilgrims. 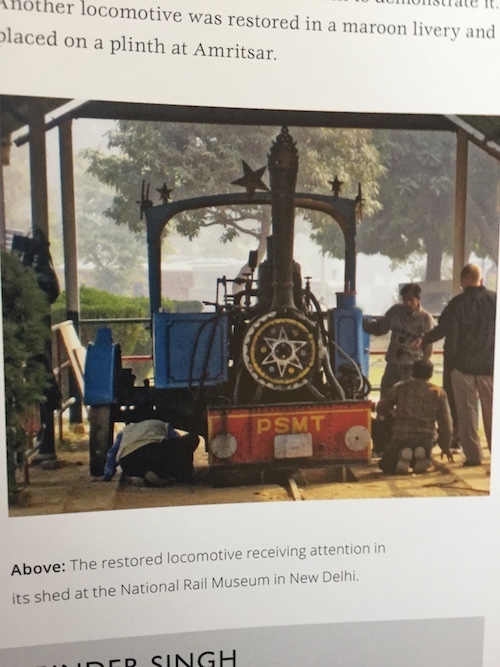 Lambert tells of the Bostan-Fort Sandeman line in colonial India, for instance, built during World War I to carry chrome ore from a mine in Hindubagh to a British munitions factory. It went through Zhob Valley (now in Pakistan), where the locals would be able to board, and was “one of the few narrow-gauge railways in the world with sleeping cars.” It took 19 hours to travel the line’s 175 miles, at an average speed of just 9 miles per hour. Passenger service continued until 1985.